Chief Justice J S Khehar has said he would soon decide on setting up a five-judge bench to hear a batch of petitions challenging the constitutional validity of the ambitious Aadhaar scheme. 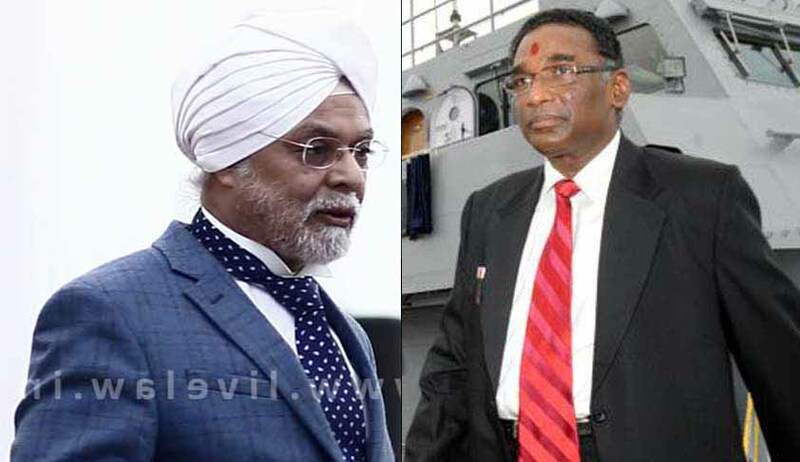 CJI-led bench yesterday said it would consult Justice J Chelameswar, who was heading the bench that had initially heard the pleas, and decide the issue of setting up of a constitution bench to hear the petitions. The CJI-bench informed this after senior advocate Shyam Divan, appearing for one of the petitioners, had yesterday mentioned the matter and sought urgent setting up of the larger bench. The bench headed by Justice Chelameswar had on October 15, 2015 lifted its earlier restrictions and permitted voluntary use of Aadhaar cards in welfare schemes like MGNREGA, all pension schemes, provident fund, besides flagship programmes like 'Pradhan Mantri Jan Dhan Yojna' of the NDA government. These were in addition to LPG and PDS schemes in which the apex court had allowed voluntary use of Aadhaar cards. It has been alleged that Unique Identification Authority of India (UIDAI), which runs the Aadhaar scheme, is getting biometric details through private agencies and it was violative of fundamental rights of citizens. UIDAI, established by UPA-2 in 2009, issues Aadhaar cards to the citizens. Under the programme, every citizen is to be provided a 12-digit unique identification number for which biometric information is collected.